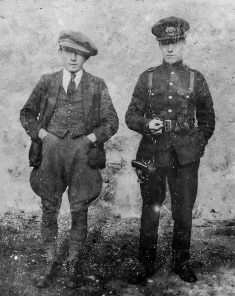 Tipperary Studies, the local studies department of Tipperary Libraries, has recently uploaded two more wonderful albums of historical photos to its free digital archive. Both will be of particular interest to researchers with connections to Fethard and its surrounding area. The first is the Kenrick Collection of images, which is made up of nearly 800 glass photographic plates. The photos are of a high standard and were mostly taken at the end of the 19th century. The website provides an interesting introduction to the collection and its author, here. The second album – The Fethard Collection – comprises more than 65 images taken from a photo album found in the attic of McCarthy’s Hotel on Main Street. Many of the photos were taken behind the hotel and around the town. If anyone can put names to the people in the pictures or confirm the locations where they were taken, the library team would like to hear from you.